Sarah Cooks: Blast from the... pantry? I was clearing my pantry this week, and came across the following. From left to right: Pandan Flavour - bought at Gama in Penang for RM1.60; Mustard Seeds - price faded with age; Fennel Seed - 79c; Caraway Seed - 80c. Those caraway seeds are older than me! 27 years old, as of Thursday last week. 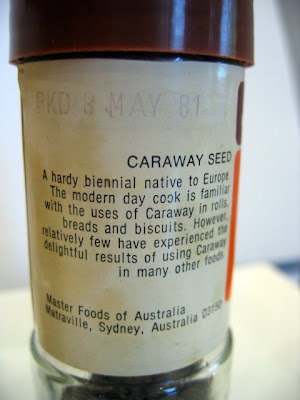 Happy belated birthday, dear caraway seeds. I was going to throw them out, but now can't bring myself to do it. They've been in every batch of harissa I've ever made. The seeds have been here longer than me. I think they may have squatter's rights. Ha ha! 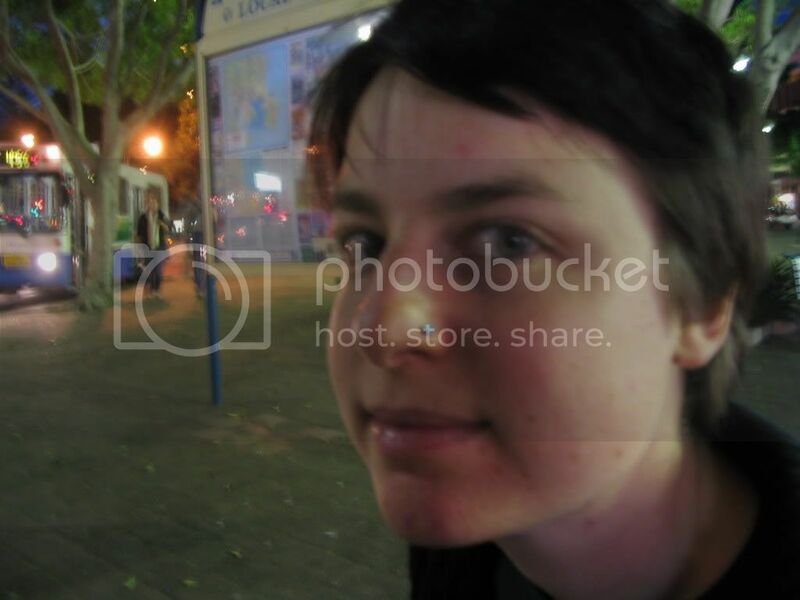 Sarah, you are so funny! This is something I bet most of us are guilty of! Ha! This happens in my family too. When my grandmother died there were numerous such aged foodstuffs in her kitchen, including a 15-year-old bottle of chocolate icecream topping in the fridge. Rather than toss it out my auntie transferred it to her own fridge, where it has now sat untouched for an additional 4 years. Heee! 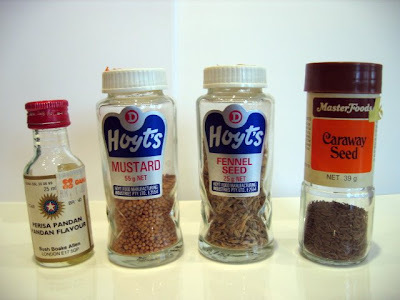 One of my friends was going through her mum's spices and found a jar marked in pounds, shillings and pence (Britain went over do a decimal currency in 1971...). Maybe the jar's been refilled over its (exceptionally long) lifetime though? OK, you win!! Have you still got those caraway seeds?? A piece of history!